Before Oct. 30, your organization must select an ELCA-Primary health benefit option to provide in 2016 and enter that selection on EmployerLink, even if you want to continue with your current option or your plan members currently waive ELCA-Primary health benefits. ​To get started, visit EmployerLink. You’ll find information to help you and other decision-makers in your organization select an option. Plan members will enter their 2016 benefit elections Nov. 2 – Nov. 30. Remember: it helps if both sponsoring employers and plan members complete the Annual Enrollment process early, so that Portico can offer better service during Annual Enrollment. 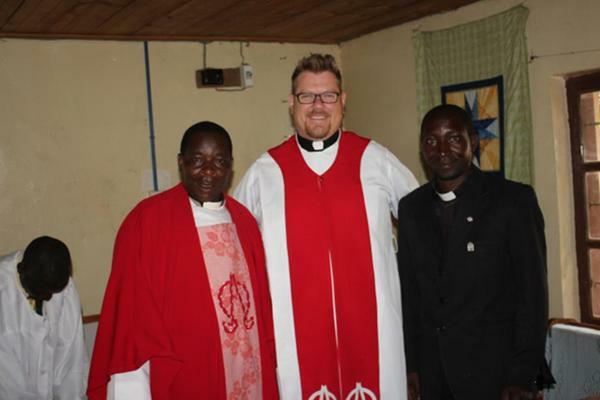 Pastor Ben serves at St. Mark Lutheran Church (ELCA) in Storm Lake, Iowa. Pastor Ben McIntire and his wife Monica recently returned from visiting they're companion congregation in Lupembe Tanzania. In his word's "This opportunity helped us broaden our knowledge of the culture and people of Tanzania, as well as our perspective on many things like the Christian mission and community, poverty and hunger, world politics and policies, and even economics." Please follow Pastor Ben's blog (PB & J, Pastor Ben & Jesus) about him and his wife's experiences and what they learned, saw, the people they met, and what a visit to Africa was like for first time travelers. ​Throughout October you’ll be able to read chapter-by-chapter of the experiences. 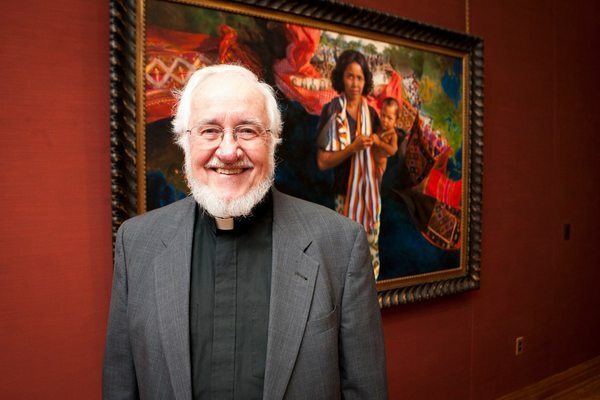 The World Food Prize announced this morning that the 2015 Robert D. Ray Iowa SHARES Humanitarian Award will be presented to the Rev. Russell “Russ” Melby, a long-time Iowa organizer of Church World Service CROP Hunger Walks during the Iowa Hunger Summit on Oct. 13. From 1984 until his retirement in 2014, Rev. Melby involved almost 500,000 Iowans, who together raised over 12 million dollars to alleviate hunger. A quarter of all funds raised in Iowa are returned to local food pantries, and the remainder reduces global hunger by providing emergency aid during famines and supporting families around the world to transition from dependence to self-sufficiency. CROP Hunger Walks are community celebrations that bring people from many different perspectives and faith traditions together to fight hunger in over 80 communities across Iowa. “Rev. Melby and CROP Hunger Walks are tremendous proof of the belief, shared by Dr. Borlaug and Governor Ray, that the struggle to end hunger should bring together people of all perspectives and walks of life,” said Amb. Kenneth M. Quinn, President of The World Food Prize. “By working together and building on our great humanitarian heritage, Iowa can eradicate hunger from our state and rise to the greatest challenge in human history – feeding the estimated 9.7 billion people who will share our planet by 2050,” the Ambassador added. Wartburg Seminary Sunday was held on October 3 at St. Mark in Sioux City. Pastor Dave Assmus (right) and Pastor David Halaas. Congregations in the Synod are encouraged to contact Pastor Assmus to host a "Wartburg Seminary Sunday." What an awesome sight it was! Amazed by the skill and talent to create such a beautiful functioning piece of art. The pictures do not even serve them justice. Of course us ladies think one would be perfect in the Synod Office. James has been doing this "All his life" we were told by Barb. As you think of clocks you think of tick-tock noise, but these produce such a tranquil, relaxing, peaceful feel. The clocks are mechanically weight driven. He creates Floor, Wall, Table and Suspended clocks. His tallest creation was 30ft tall and he also has one displayed in the Westin Hotel. He has received numerous rewards and was featured on the front cover of Wood Magazine appropriately titled Master of Time and Space. Here is a link to James Broden Timeshapes web site. I encourage you to check it out. James Borden the husband of Pastor Barbara Kopperud from Trinity Lutheran Church of Sibley had his work of Timeshapes on exhibit at The Pearson Lakes Art Center in Spirit Lake. The last day of Fall Convo, Barb shared with us that her husband's James Borden, Timeshapes kinetic sculpture clocks were on display. So as curious as we were, a few of us from the Synod went to check it out. For Dates and Times and Locations, please click here! has available one more $3,000“Educational Debt Reduction Scholarships” in 2015 for pastors in their first years of ministry in the Western Iowa Synod. If you would like an application form or more info,contact Trinity at pastorbarbk@hickorytech.net. Applications are due in by October 15, 2015, to be awarded by November 15, 2015. Those who have applied in the past may re-apply. It is no coincidence that this is also Reformation Sunday. One of the key tenants of the Reformation was getting the word out about God’s grace to everyone. Martin Luther did this by nailing his thesis to the door, translating the bible into the language of the people, preaching, writing and distributing pamphlets. We follow in his footsteps by sharing the good news on social media. 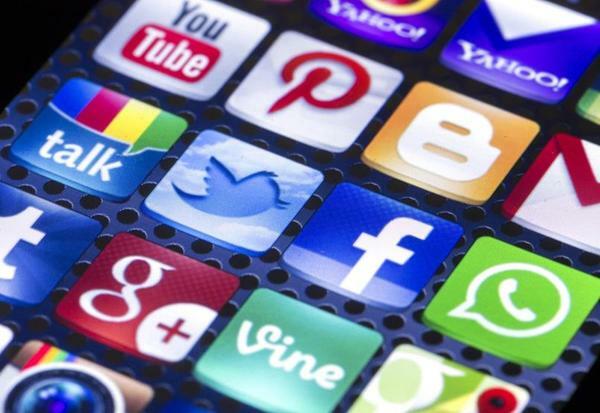 On this Sunday, instead of asking folks to turn off their phones, ask them to take out their phones or tablets and tweet a line from the sermon, take a selfie of themselves at church, or a photo of a page in the hymnal, or kids at Sunday school, or coffee hour, and post it on Facebook, Twitter or Instagram (or even Snapchat) with the hashtag #SMS15. And then check out that hashtag yourself and see who all has participated. Make a large cut out of Martin Luther and have a selfie-booth. Be sure to use the hashtag #SMS15 for all your posts.Hashtags are what bring everyone around the country together. Check out our YouTube Channel for Social Media How-tos. This is a great day to see how churches and church folks around the country are using social media for outreach and community building. I look forward to seeing your church on social media, Sunday, October 25! 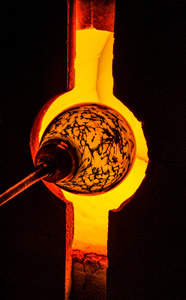 [Fred Kaemmer at work] As a glass artist, Fred Kaemmer is fueled by faith. Faith in the extreme heat to blow glass, faith in trying unorthodox techniques and faith in the serendipity that occurs when creating elegant art. The results are brilliant, exquisite reflections of the sacred. Sheryl Schwyhart, sschwyhart@unitedseminary.edu or call 651.255.6159. ​Have you ever thought about or dreamed about going to Africa? If so, here is an opportunity you don't want to pass up!! ​It's time to apply now! !